One thing that Britain isn’t short of is mobile telephone shops, and the market is huge and competitive. The big five mobile telephone companies are extremely hungry for your business and there are a bewildering amount of offers and discounts available if you decide to apply for a mobile telephone contract. But the terms and conditions of the contract should be mandatory reading for anyone considering a pay monthly mobile phone contract. Around 52% of UK mobile telephone customers are using a pay monthly contract. Pay monthly customers will usually sign up for a 12 or 18 month contract paying a monthly line rental. The mobile telephone companies will usually offer a certain amount of free minutes or free texts per month and in most cases will offer a free handset. There may be cash back offers or a free gift such as computer games console or an mp3 player. In all cases anyone who accepts an offer of a pay monthly telephone rental will need to sign a contract and agree to the terms and conditions. The terms and conditions of the contracts are pretty much standard for all customers. The only clauses that will be different are the ones stating the tariff the customer is on, payment details, and the length of the contract. However, these terms and conditions should all be read carefully before anyone decides to enter into this kind of agreement. Mobile phone contracts are a form of credit. The mobile telephone companies are giving an invitation to use their services, and are offering credit each month. When a customer applies for a contract the companies will perform a credit check on the customer. If a customer’s credit record is very poor they may be refused the company’s services and this will then be recorded on the customer’s credit reference score. However, the company may decide that a customer’s credit score is low but not extremely bad. They may decide to offer their services providing a returnable deposit is paid. If the customer decides to accept this they should make sure that details of this deposit are included in the contract. A customer with a poor credit rating can rebuild their rating by using a mobile telephone rental contract. The mobile phone companies never want to lose customers to other companies, and as such this is where the customer has some power. Contracts will state the length of the contract but customers can usually begin negotiations to renew the contract around two months before it expires. Savvy customers will be able to get much better conditions regarding their telephone tariffs simply by saying they are considering moving contracts to a rival company. Customers are under absolutely no obligation to stay with their previous mobile company. They should be able to change mobile telephone rental contracts and still keep their old telephone number. This should be stated in the contract’s terms and conditions. If a customer wants a better deal, more cash incentives, and a good handset upgrade then they should simply phone their mobile provider before the contract expires and express an interest in changing companies. 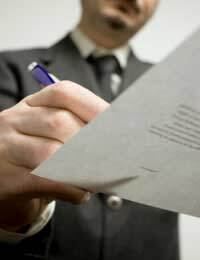 The contract’s terms and conditions will give details on terminating a contract early. Companies tie customers into 12 and 18 month contracts in order to make money and keep the customer for a minimum length of time. The customer is under no obligation to stay with a company but there may be penalties should the customer decide to terminate the contract early. This condition should be checked before signing any contract. Failure to pay this penalty may result in a bad credit score. The big five mobile telephone rental companies will all have standard customer contracts. All of the terms and conditions should be clearly defined and easily understandable. Customers should read these terms thoroughly to make sure there are no hidden clauses wrapped up in confusing language. This practice is in itself against consumer rights and any confusing clauses may render the contract unenforceable. Always read the clauses on mobile telephone rental insurance. Mobile phone insurance is not compulsory but salespeople have a way of making it seem like it is, and will offer a few free months of insurance with a contract. They will make money from the customer for this and hope that the customer forgets to cancel after the free months have expired. Where mobile telephone contracts are concerned the customer does have a lot of power and this is due to the competitive market. Contracts are not set in stone and if a customer has a problem they should talk it out with the salesperson, but only before the contract has been signed. I signed a phone contract with t mobile for a two year period,the deal was free internet,ltd talk,and unlimited txts at 36 per month.I have eight months left and they have increased the monthly payment to 38 per month,.Are they in breach?and could I now stop paying and cancel without having to pay the remaining eight months in one go? My mobile contract is only a rolling month with a company renowned for internet services yet they are staying refusal of credit when I try to get a new handset with any third party and having this stated twice with the online companies when I try to gain a upgrade with themselves they also decline I have never had any debt I do not owe anything to any company or any persons either I think that there is certainly something amiss ! I might contemplate a different service provider yet the people at the company state that if they refuse my interests that it is going to be exactly the same with any other company contracts or has the term might suggest cheap credit! I am with Orange and was looking forward to an early upgrade in November to get rid of the awful phone I have. I was informed in passing today when I happened to go into the Orange shop that, from 1 May, early upgrades can only be made 45 days, not 90 days, before the end of your 2-year contract. I am gobsmacked that they can change this - it's a pretty fundamental change to the T&S of our contracts, we haven't been written to to be informed of the changes, and when you log on to their website, I still get a November date for my upgrade - with no indication that's about to change. I feel a bit ripped off to be honest as I was relying on being able to upgrade this November. Not sure there's anything I can do about it. My mobile contract with 3 ended Oct 10, however I never thought to check the expiry date. I was not informed that it was due to expire and payments continued to be taken out of my bank account. It was only recently when I asked 3 about my contract expiry date that I found out it was last year. Should they have told me my contract was due to expire, and should I have been offered an upgrade if I chose to stay with them. If 3 are responsible for informing me, can I get a refund on payments made since expiry date? iam currently with 02 on a 18 month contract which expires in november.the phone has been replaced twice with the same handset, a nokia n 86it has been repaired 4 times with the same fault very poor sound quality. it has now gone down again with the same problem. i have asked for an eary update but to no avail. please advise.